At Colonial Heights, Colonial Gardens, and Colonial Manor we strive to be a step above the rest. We are a faith-based, mission-driven community, and we strive to incorporate our roots and values in how we treat our residents and staff. Our community offers residential living at Colonial Heights, assisted living at Colonial Gardens, and memory care at Colonial Manor. At Colonial Heights, our residential living apartments maintain resident’s independence and offer the opportunity for social engagement. At Colonial Gardens, assisted living offers assistance with everyday activities, while still helping the resident maintain their independence. 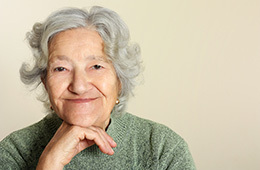 At Colonial Manor, our memory care services provide a nurturing and comfortable lifestyle for those who suffer from progressive stages of memory loss. We understand that the transition to a new community can be challenging, and we strive to make the process easier with our friendly staff, ongoing activities and special events, and our beautiful and comfortable community. At Colonial Heights, our mission is to provide housing options for older adults in an environment that enhances their quality of life physically, mentally, and spiritually. Colonial Heights and Gardens is proud to be a Retirement Housing Foundation (RHF) community, offering market-rate living options and services to older adults. RHF is one of the nation’s largest non-profit providers of housing and services for older adults, persons with disabilities, and low-income families.